Nowadays everyone uses social media in some ways, with some exceptions, of course, but let’s face it – Facebook and Twitter are at the top of the social pyramid. They get hundreds, even thousands of new members a day and they just rule. It’s easy, accessible, pretty and most of all – it’s about you. You are the one that controls it and has the last word on everything. From there you are can see and find almost anything without much effort. 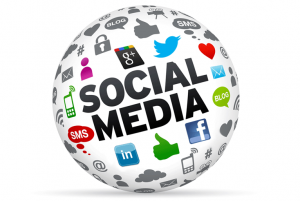 From a business perspective, social media is the perfect way to advertise your product. You can boost your performance way more if you know how to use social media platforms by their full strength. Most people, however, don’t know that there is not just that to create a page, write some content on it and hope for many clicks. That’s why Found Online decided to add this to the whole package of developing your business online. Surely, there are a lot of platforms that you can work with, but finding their full potential is harder than you think. Social Media Marketing can be tricky if you don’t have the right mind and knowledge about this. Why choose us? Because. We know how to build your brand in effective way that will matter, your page won’t be just present in a platform, it will be developed and maintained properly so you can grow with no deviations from your business plan. We will build up a campaign and take care of your audience – we will make sure to keep it all under control and even generate your sales with the great power of social media channels. If you still wonder how to do this, don’t hesitate to give us a call and we will gladly discuss with you why we do this and how we can help developing your strategy.